Our product range includes a wide range of battery gel - to make gel battery, e rickshaw battery plate chemicals and acid gas killing plate formation powder. Features Gel batteries require no maintenance with respect to watering. German origin high purity silica is used to make "Smf Battery Gel". Gel batteries require no maintenance with respect to watering. It increases the service life of the battery by prevention of acid stratification even at deep discharge. It improves resistance to external temperatures, shock and vibration. It makes the battery leak proof. 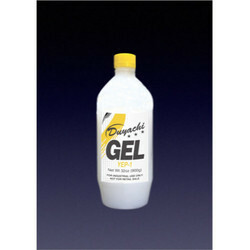 Gel forming electrolyte is filled into the battery in the form of gel and sulphuric acid. This solution is sufficient for the formation of a gel but is insufficient for initiating a charging process. During charging the sulphuric acid that is bonded to the plates together with the gel forming electrolyte will start the formation of the gel. Mix "Battery Gel" with sulphuric acid and pour into the battery. Rest the battery for few hours when using atmospheric pressure, or for few minutes when using vacuum. The more ampere capacity a battery has, the E-Rickshaw will run longer. 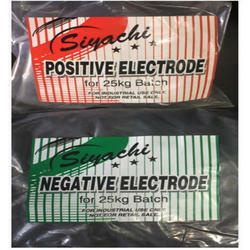 Siyachi deep cycle plate chemicals helps in increasing the capacity and increases the volts of the battery. When E-Rickshaw driver drives E-Rickshaw, the battery gets discharged and the volts go down. The volts of the battery go down to 10.5 volts or 10 volts or sometimes even upto 8 volts. This is called deep discharge. When a battery is continuously deep discharged it becomes difficult to recharge the battery till the desired volts and the specific gravity of acid remains low. Duyachi deep cycle plate chemicals helps in increasing the volts and specific gravity of acid while charging. By using siyachi deep cycle plate chemicals in battery plates, the battery can be deep discharged and still it will maintain effective capacity for many months. We also offer T15R Powder. T15R powder increases the life of the battery by increasing the charge acceptance of the plates. DO YOU MAKE BATTERY PLATES? Harmful gases come at the time of plate formation. Put "ACID GAS KILLING PLATE FORMATION POWDER", in plate charging box and it will kill the harmful gases. How does this powder works? When you put this powder, foam builds up on top of the plates. The built up foam neutralizes the harmful gases. How much powder should I use? A pinch of powder is sufficient for a box. We use SLS Needles. What is the difference between Needles and Acid Gas Killing Plate Formation Powder? Acid Gas Killing Plate Formation Powder is a better and cost effective alternative. It has been found by the battery industry that this powder really KILLS the harmful gases. And it does not leave any residue on the plates. 500grams Acid Gas Killing Plate Formation Powder = 1kilo 500grams (1.5kgs) of SLS Needles. Now you decide which is better and more cost effective.